As with other industries, the field of agribusiness is being reshaped in many ways. Changes in farming methods, consumer demand, processing, renewable energy, land and water use, and other factors are creating a new agribusiness environment – and opportunities as well. Sussman Shank is well-grounded in agribusiness. For over 50 years we have advised clients in a wide array of matters, including business, tax, environmental, regulations, creditors' rights, contracts and agreements, employment, and litigation. We work closely with clients to provide advice and representation that best suits their particular business needs. Our clients include farmers, ranchers, growers, lenders, distributors, and suppliers. Many are family owned businesses that range from small family farms to large companies that are recognized leaders in the Oregon and Washington agribusiness industry. We've helped seed their growth and prosperity. Prepared and drafted numerous documents necessary to agribusiness clients, including grower agreements, distribution contracts, security agreements, and leases of real and personal property. 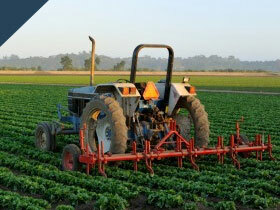 Prepared and successfully enforced numerous multi-million dollar Agricultural Produce liens under Oregon Law against nonpaying purchasers of farm products and services. Represented trustees, court-appointed receivers, and creditors' committees in large agricultural cases and assisted in the disposition and recovery of estate assets, which resulted in the distribution of significant funds to creditors. Currently represent federal court receiver in litigating and resolving over 30 ag and grain lien claims in a pending receivership. Assisted farmers and ranchers as borrowers and successfully restructured financial obligations under voluntary reorganizations of agribusiness operations under Chapter 11.